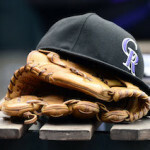 The Rockies are in a tailspin, having lost five consecutive series. A trip to Petco Park and the last-place Padres may be the best way to right the ship. 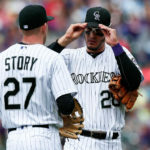 Trevor Story and Nolan Arenado are quickly gaining on first place in all-star voting with three days remaining until polls close. 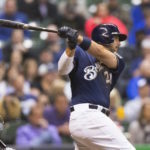 Eric Thames and Travis Shaw each went deep in the fourth inning to power the Brewers to a 6-1 victory over the Colorado Rockies at Miller Park in Milwaukee. 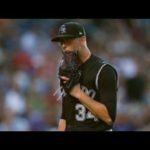 The Rockies have the worst home ERA in baseball, and not coincidentally one of the worst win-loss records at home as well. 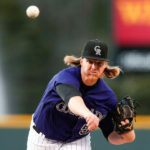 Two months removed from the stress fracture in his plant foot, Rockies starting pitcher Jon Gray is closing in on a return. 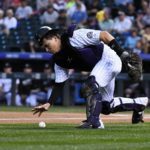 With Tony Wolters, 25, and Ryan Hanigan, 36, the Colorado Rockies have a mix of exuberance and experience behind the plate. 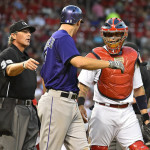 Last night, the Rockies had their worst game of the season so far. Shawn Drotar and Jake Marsing tell you why there is absolutely no need to panic.